Commercial aerospace vehicles have been increasingly demanding to withstand harsh conditions with low-weight material, i.e., composites. Unfortunately, low-velocity impacts strongly affect their performance. Structural health monitoring with permanently attached sensors allows achieving cost-effective maintenance and tearing down knockdown factors. However, the degradation of transducers adopted for online detection of damage negatively affects the diagnosis. That deterioration is addressed in this work with the electromechanical impedance approach employed at relatively low ultrasonic frequencies. Several degradation conditions are investigated with experimental and numerical simulations. The results demonstrate how the self-diagnosis approach detects pure sensor failures without any structural dependence. However, self-detection of the mixed mode of failures is challenging due to the opposite effect that different types of failure return. Numerical simulations provide a spectral response in compliance with measurements. On top of that, numerical results demonstrate that the combination of different types of damage may induce missed detection. That is where a multi-parameter self-diagnosis approach may further improve the overall monitoring system. 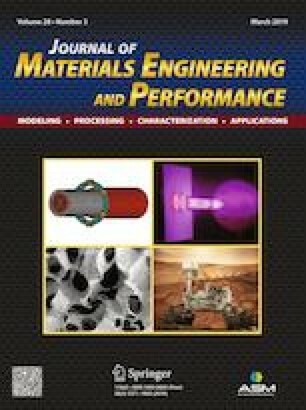 This article is an invited submission to JMEP selected from presentations at the International Symposium on Dynamic Response and Failure of Composite Materials (Draf2018) held June 12-15, 2018, on the Island of Ischia, Italy, and has been expanded from the original presentation. The authors gratefully acknowledge the support of this research by Clean Sky 2 Joint Undertaking under the European Union’s Horizon 2020 research and innovation program (Grant Agreement No. CS2-REG-GAM–2014-2015-01).